I have a drawing, I want erase all object inside or outside (2 case). Please, help me. That could be done by selecting that boundary object then select all objects within its boundary then make a global selection set , so after that iterate through each entity if it is not the same name with the entity that are inside the first selection , then delete the object . Can you describe in more detail? Thank you very much! I have a drawing autocad and which I draw a line enclosed (rectangle, polygon, or any). I want to choose boundary and then remove all of what is in it. 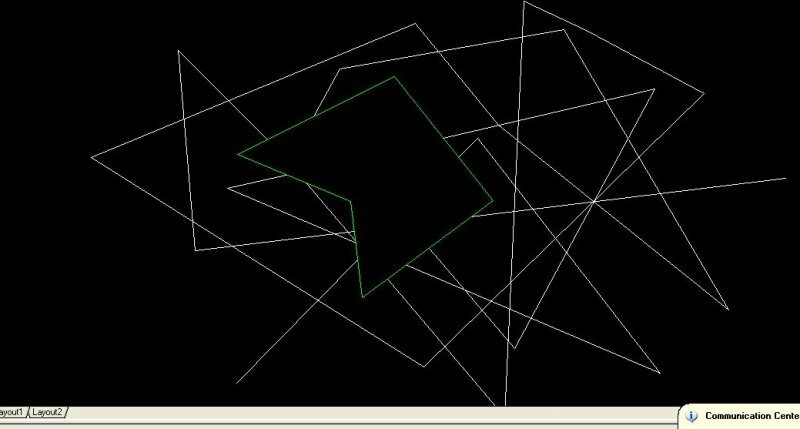 See http://www.cadtutor.net/forum/showthread.php?92739-trim-rectangle-outside-object#14 for lisp with the function BoundaryTrim which will both trim and erase inside a selected boundary. I used extrim but don't success. Can you guide me? Thank you very much.